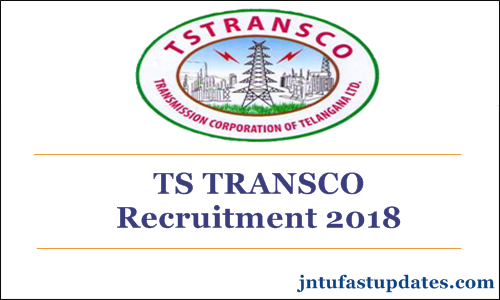 TS TRANSCO JPO & JAO Recruitment 2018: Telangana Transmission Corporation of Telangana Limited (TSTRANSCO) has released recruitment notification for 62 Junior Personnel Officer and 44 Junior Accounts Officer posts at tstransco.cgg.gov.in. JPO: Junior Personnel Officer Applications are invited On-line from qualified candidates through the proforma Application to be made available on http://tstransco.cgg.gov.in to the post of Junior Personnel Officer. JAO: Junior Accounts Officer Applications are invited On-line from qualified candidates through the proforma Application to be made available on http://tstransco.cgg.gov.in to the post of Junior Accounts Officer. Must hold First Class B.A. / B.Com / B.Sc. Degree of a recognized University in India established or incorporated by or under a Central Act, Provincial Act or a State Act or any equivalent qualification and approved by the Government of Telangana. Minimum 18 years and maximum 44 years. The age is reckoned as on 01.07.2018. Candidate has to visit the website http://tstransco.cgg.gov.in to view the detailed notification and User Guide. The fee mentioned at Para- I (5)(a)(see at Notification) is to be paid online by visiting the link MAKE PAYMENT in the website duly following online instructions. 1. The Applicants have to read the User Guide for Online Submission of Applications and then proceed further. Step:- Submission of Application: After payment of Fee, the Candidate has to visit the website http://tstransco.cgg.gov.in to view the detailed notification, User Guide and Application Form. 2. The applicants have to provide payment details (journal number and date) and upload the scanned copy of passport size photograph with signature (see instructions for scanning and uploading photograph with signature) and then invariably fill all the relevant fields in the Application. 3. Immediately on submission of application, applicant will get an acknowledgement in the form of a downloadable pdf document.